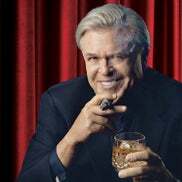 The legendary Glenn Miller Orchestra from New-York will perform one night only at the Crown Theatre as they tour the world, bringing timeless classics like In the Mood, Moonlight Serenade, Chattanooga Choo Choo, Pennsylvania 6-5000, String of Pearls and Tuxedo Junction back to the stage. 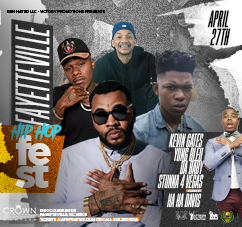 Multi-platinum selling artist Kevin Gates is coming to the Crown Coliseum on Saturday, April 27 to headline the second Fayetteville Hip Hop Festival. 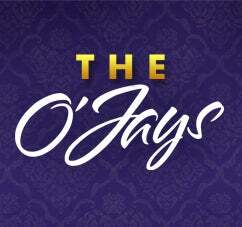 Community Concerts proudly presents The O’Jays live in concert on Friday, March 15, 2019! 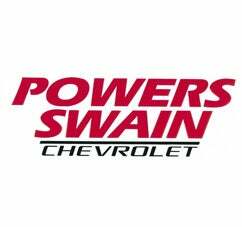 The staff at the Crown Complex donated 120 hours of community service to various charities and nonprofits around Cumberland County during the 2018 calendar year. Tyler Perry's Madea's Farewell Play Tour Coming to Fayetteville! Tyler Perry’s Madea’s Farewell Play Tour with Tyler Perry, Tamela Mann, David Mann and Cassi Davis Patton will be live at the Crown Coliseum on Friday, May 3! 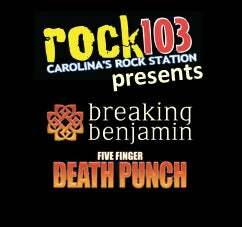 The Crown Complex is pleased to announce that the Five Finger Death Punch and Breaking Benjamin concert will be here in Fayetteville, NC on Friday, December 7 at 6:00 p.m. Due to the large volume of patrons expected for the event, the following traffic and security plan will be implemented. 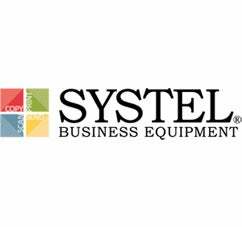 Check out our last minute holiday deals! 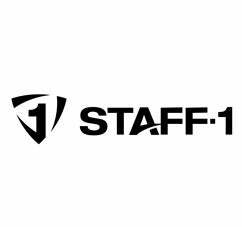 Valid from 12/14 to 12/21 at 10pm! 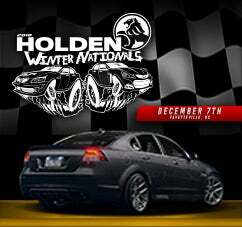 The Holden Winter Nationals will be held at the Crown Expo on Friday, December 7. 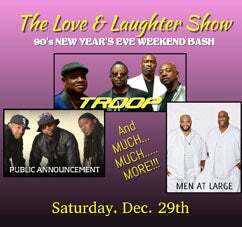 Vibez Entertainment presents The Love & Laughter Show. 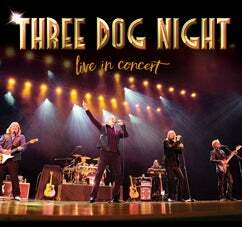 Iconic music group, Three Dog Night, will be performing live at the Crown Theatre on Friday, February 22 as a part of Community Concerts’ 83rd season! WWE Live is returning to the Crown Coliseum on Sunday, January 6, 2019! 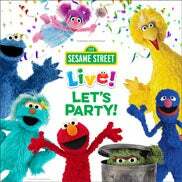 Sesame Street Live! Let’s Party!, the sunniest and funniest street celebration, is coming to the Crown Theatre on March 20, 2019. 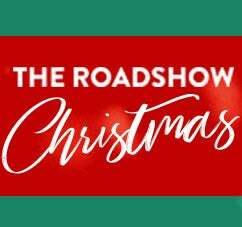 First ever “The Roadshow Christmas Tour” featuring Matthew West, and more to play the Crown Coliseum. 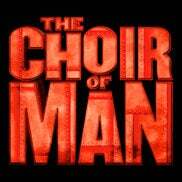 The Choir of Man, has been rescheduled from Wednesday, October 10, 2018 to Wednesday, February 27, 2019. 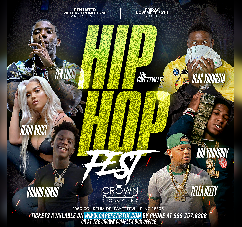 Ben Hated, LLC and Victory Promotions, is proud to introduce the inaugural Fayetteville Hip Hop Festival. 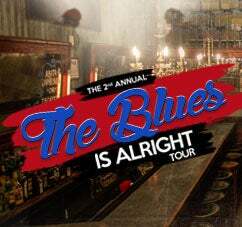 The 7th Annual 95.7 WKML Stars & Guitars concert returns to the Crown Theatre on November 12. 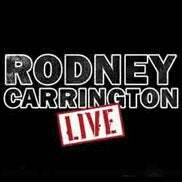 Scheduled performers include David Lee Murphy, Craig Campbell, Tyler Farr, Trent Harmon, Cam and Carlton Anderson. The 52nd Anniversary Holly Day Fair, the largest holiday gift and craft show in Eastern North Carolina. Due to anticipated severe weather from Hurricane Florence, the Crown Complex Box Office will be closed beginning Thursday, September 13, 2018 and will remain closed until further notice. Come see the All New GARDEN BROS CIRCUS! This year’s production is packed with breathtaking special effects, concert style lighting & more! 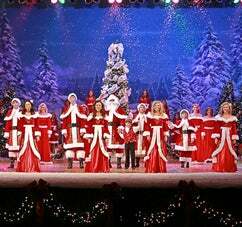 The annual Heart of Christmas Show is back at the Crown Theatre this November. 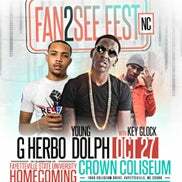 In celebration of Fayetteville State University’s Homecoming, Young Dolph alongside special guests G Herbo & more! Please join us in celebrating the opening of the 2018 Cumberland County Fair. 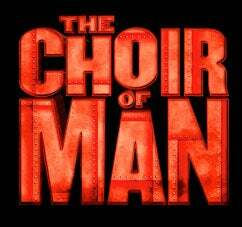 The Choir of Man storms North America in its first U.S. Tour! 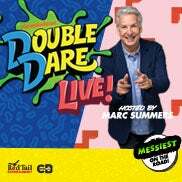 Nickelodeon's Double Dare Live Kicks Off U.S. Tour in Fayetteville! Nickelodeon’s Double Dare Live will play the Crown Theatre on October 30, 2018 at 7 p.m.
Grammy winner Tamela Mann and NAACP Image award winner David Mann to play the Crown Theatre 11/4! 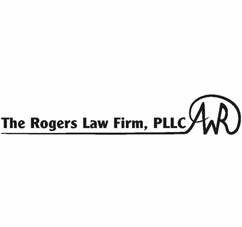 TRAXXAS Monster Truck Tour is Coming to Fayetteville! 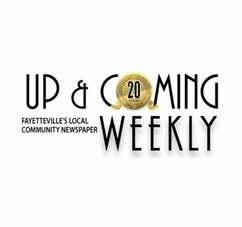 Fayetteville will be the entertainment epicenter of motorsports! 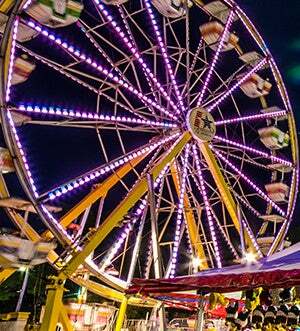 The biggest and best fair in the Carolinas is back! 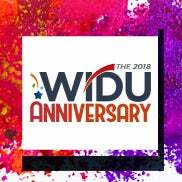 The 2018 WIDU Anniversary is expected to be the most exciting and inspiring of its kind, thus far. The Harlem Globetrotters will return with their one-of-a-kind show to the Crown Coliseum on 11/3. 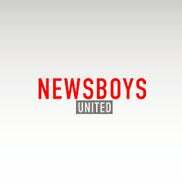 Newsboys United Tour is bringing all the hits under one roof. 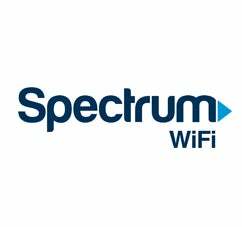 Employees & subcontractors at the Crown Complex attended the rollout of the Spectra-created GREAT Experience program on 7/9. 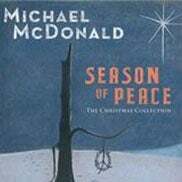 Community Concerts’ 83rd season will open with Michael McDonald on Tuesday, November 27. The Cape Fear Heroes, will be facing off against the Atlanta Havoc in their first playoff game of the season this Saturday, June 16, 2018. 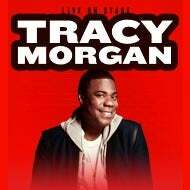 Comedian Tracy Morgan will be live at the Crown Theatre on Saturday, September 22, 2018! 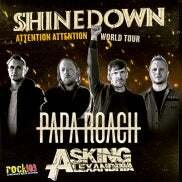 Each event is expected to draw a large number of patrons to the Complex. 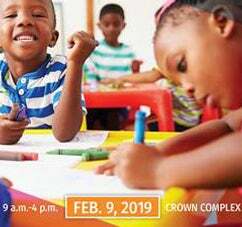 The Crown Complex, in partnership with Parks and Recreation, was proud to host more than 400 participants for a scavenger hunt. 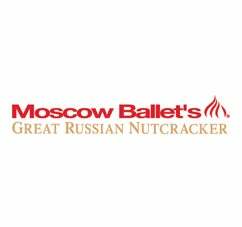 Christmas is coming and so is the one and only Moscow Ballet's Great Russian Nutcracker. 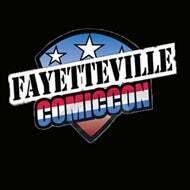 The fan run Fayetteville ComicCon is a welcoming and family friendly place that celebrates all forms and fans of American and World Popular Culture. All vehicles are to follow the direction of on-site traffic control. 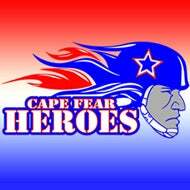 The Cape Fear Heroes invite all military and dependents to attend the last home game of the season for free. The Crown Complex donated more than 160 tickets to our community and families during the Month of the Military Child. Due to tour conflicts beyond our control, the 90s Block Party tour scheduled for Thursday, April 19 has been cancelled, per a representative of G-Squared events. 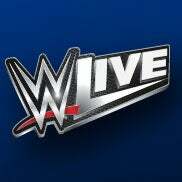 WWE Live is returning to the Crown Coliseum on Monday, May 28, 2018! The Southern Uprising Tour feat. The Charlie Daniels Band and The Marshall Tucker Band, has been rescheduled. 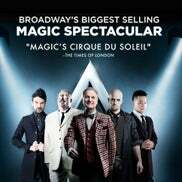 World's best-selling touring magic show, The Illusionists, Live from Broadway will be at the Crown Theatre on May 10, 2018! ZZ Top, presented by Community Concerts, originally scheduled for October 20, 2017 has been cancelled. 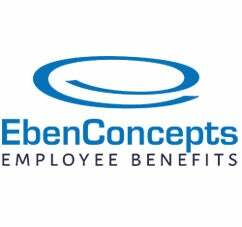 This event will now take place on Wednesday, May 9. 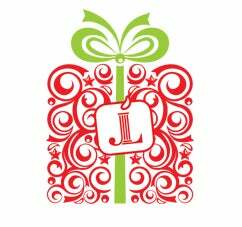 LADIES SHOP ‘TIL YOU DROP RETURNS TO THE CROWN EXPO FEBRUARY 24 & 25! Magic Men Live Returns to the Crown Theatre February 18, 2018! 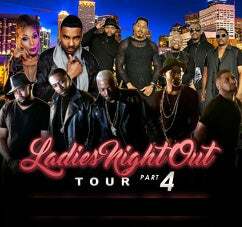 The world’s premier ladies night experience that you’ve been waiting for is coming your way! Disney Live! 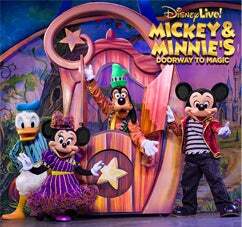 Mickey and Minnie’s Doorway to Magic visits Fayetteville on March 24, 2018 at Crown Theatre. 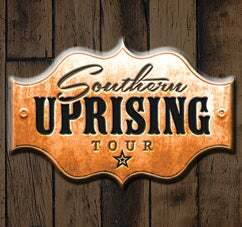 The Southern Uprising Tour, has been rescheduled for Saturday, April 7 at 7:30 p.m.
Moya Doherty is proud to announce that Riverdance - The 20th Anniversary World Tour, is back by popular demand. Tickets for the Southern Uprising Tour go on sale November 17 at m.10 a. The following traffic and security plan will be implemented. Celtic Woman tour beginning Spring 2018. 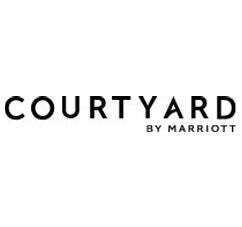 The newly rebranded Fayetteville Marksmen, announced a 5 year lease with a 5 year option with Crown Complex. Thomas Rhett with special guests Dan+Shay and Walker Hayes on Friday, October 6 at the Crown Coliseum. 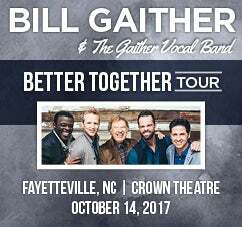 Grammy award-winner Bill Gaither will host a spectacular evening of music featuring the talent of the prestigious Gaither Vocal Band. 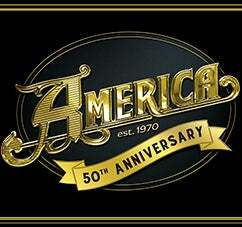 REO SPEEDWAGON WILL ROCK THE CROWN THEATRE ON SATURDAY, OCTOBER 7! 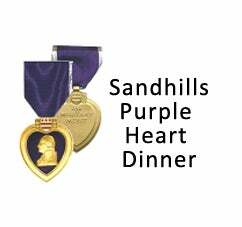 SANDHILLS PURPLE HEART DINNER TO TAKE PLACE AUGUST 19 AT CROWN EXPO CENTER! The Sandhills Purple Heart Dinner will honor Purple Heart recipients & their families, Gold Star Mothers, and the families of KIA on Saturday, August 19. 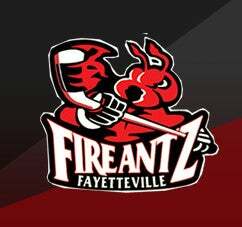 The Fayetteville Fireantz have announced that, effective immediately, their name will change to the Fayetteville Marksmen and will continue to compete in the SPHL. 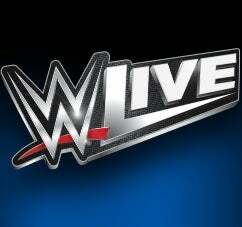 WWE LIVE RETURNS TO CROWN COLISEUM JULY 21! WWE returns to Fayetteville with the SummerSlam Heatwave tour! TRAFFIC ADVISORY: Luke Bryan, Friday March 10 at Crown Coliseum! 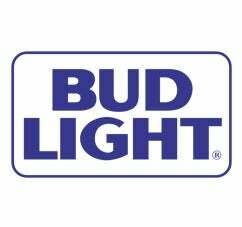 The Luke Bryan concert on Friday, March 10 at 7:00 p.m. featuring Brett Eldredge & Brett Young will have a capacity crowd. Ready or not, here she comes! Lauryn Hill will perform April 26 at the Crown Coliseum. 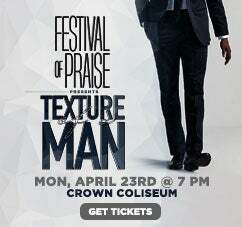 TAMELA MANN & DAVID MANN JOIN FORCES FOR ‘MANN’S WORLD FAMILY TOUR’ APRIL 22 AT THE CROWN THEATRE! See all your favorite Smackdown Superstars at the Crown Coliseum on November 27 at the WWE Live: Holiday Tour. 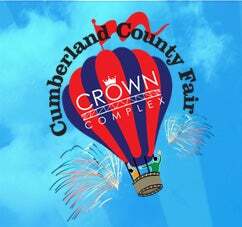 All patrons attending the Cumberland County Fair will be directed to park in the East Lots of the Crown Complex until full. Dustin Lynch will be joining the line-up of Chris Young's “I’m Comin’ Over” Tour. The annual Heart of Christmas Show is back at the Crown Theatre this November. 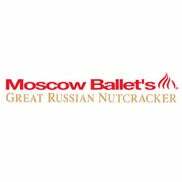 There will be three performances. 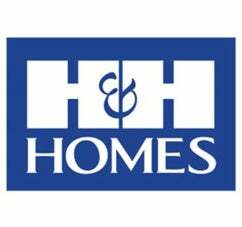 The Holly Day Fair, the largest holiday gift and craft show in Eastern North Carolina, will celebrate its 50th Anniversary November 3 – 6. 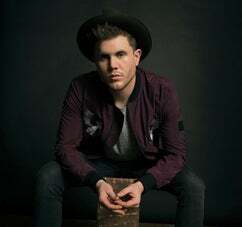 ​Country singer-songwriter and American Idol winner Trent Harmon will headline Country Night on the Up & Coming Weekly Stage. Legendary classic rock band, Kansas, announced today that they will perform in Fayetteville, NC at the Crown Theatre on December 3. We anticipate heavy traffic congestion during the afternoon and evening on campus and in the surrounding area. The 2016 WKML Parking Lot Party, scheduled for August 18 has released a variety-filled food truck line-up for the event. The Cumberland County Fair is making some major changes in preparation for the 2016 season. Hip hop legends DMX and Bone Thugs-N-Harmony co-headline the Kings and Queens of Hip Hop at the Crown Coliseum. Reveal mesmerizing and unforgettable Disney moments and grand illusions with Disney Live! Mickey and Minnie’s Doorway to Magic. WKML is bringing its New Artist Showcase Parking Lot Party on Aug. 18 with popular country group, Josh Abbott Band. WIDU has brought quality, faith-based programming to Cumberland County, culminating each year in a week-long celebration. The Fayetteville FireAntz, members of the SPHL, released their full 2016-2017 schedule today, highlighted by a 28 home game stand. 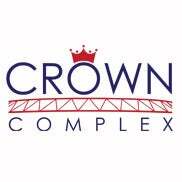 The Crown Complex Box Office will be closed Monday, May 30 in observance of Memorial Day. The Crown Complex will host multiple graduations for Cumberland County Schools in the Coliseum and the Theatre. 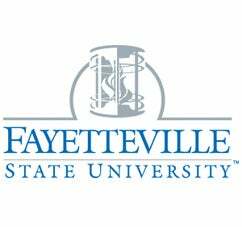 The Frye Foundation is hosting its annual gala at the Crown Ballroom in Fayetteville, NC for the first time on June 4, 2016. The Cape Fear Wildlife Expo announced today that the Crown Complex will be the new home of the 9th Annual Cape Fear Wildlife Expo. Billboard Music Awards nominee Chris Young's “I’m Comin’ Over Tour,” includes a stop in Fayetteville, NC at the Crown Coliseum. The Fayetteville FireAntz will take on the Knoxville Ice Bears in the first round of the 2016 SPHL Playoffs. 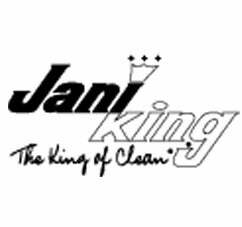 Kings of the Street concert feat. Jeezy and Kevin Gates to perform live at the Crown Coliseum. HCE Live presents The Big Top Out The Box Circus, originally scheduled for next Friday, March 18, has been cancelled. 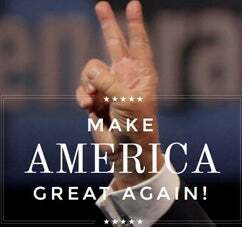 Due to the large volume of patrons expected for the the Trump rally, the following traffic and security plan will be implemented. 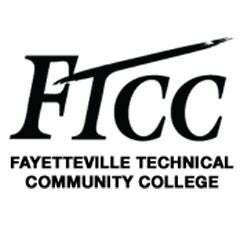 Republican presidential candidate Donald Trump will host a rally in Fayetteville at the Crown Coliseum on March 9 at 7 PM. 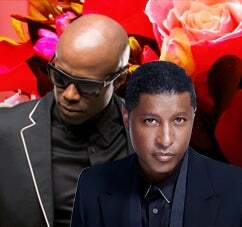 Kem, and Babyface will headline The Ultimate Mother’s Day Celebration in the Crown Coliseum on May 6 at 8:00 p.m.
Jason Aldean featuring Thomas Rhett and A Thousand Horses will have a capacity crowd. 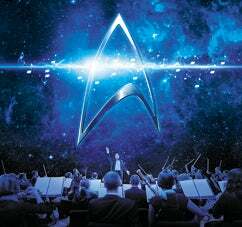 Star Trek: The Ultimate Voyage has been cancelled due to a winter weather advisory. 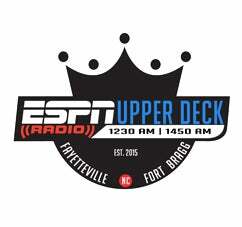 The ESPN Radio Upper Deck will be closed today, January 22, due to inclement weather. 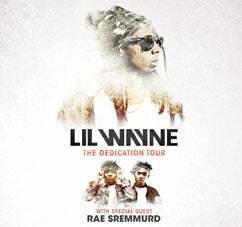 THE DEDICATION TOUR will make a stop at the Crown Coliseum in Fayetteville, NC on February 3.